This year’s Game Developers Conference was a wonderful opportunity to sit down with developers and learn about upcoming game releases. We had a chance to sit down and chat with Ben Lee of Blowfish Studios, an independent developer and publisher from Sydney, Australia. Blowfish Studios has had experience publishing on mobile platforms, PC, and consoles. They strive to collaborate with studios across the entire world. Their forthcoming library looks action-packed and riveting. We believe these titles will cater to those seeking high intensity action or thought-provoking puzzle solving. We checked out a Nintendo Switch build of War Tech Fighters, which is an action game featuring transforming mechs. Players occupy the role of a resistance squadron pilot combating the oppressive Zatros Empire. The game features space flight in both ship and humanoid modes, three selectable types of War Tech mechs, and one hundred eighty customization options. The game appeared to run well in handheld mode, and the interface felt like a solid fit for the Switch’s screen. Players can also expect sleek designs, an extensive single-player campaign consisting of thirty-three missions, and expansive areas to navigate. Drakkar Dev previously released this game on the PC, but the console versions will feature the exclusive Archangel gear for further customization. War Tech Fighters is slated for release in the second quarter of 2019 for the Nintendo Switch, PlayStation 4, and Xbox One. 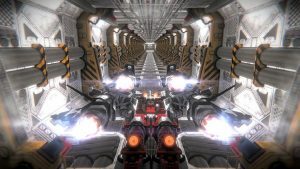 Subdivision Infinity DX is a space shooting title by Mistfly Games. The game is a new version of the mobile title Subdivision Infinity that has been built from scratch in Unreal Engine 4. Players control a fighter ship in third person perspective, and we navigated a beautiful space environment with some dramatic light shafts. 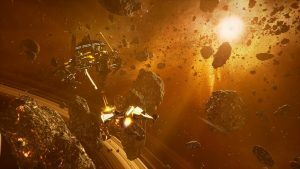 The game includes forty story missions, multiple star systems, and plenty of dogfights, and it is slated for release in 2019 on PC, Nintendo Switch, PlayStation 4, and Xbox One. 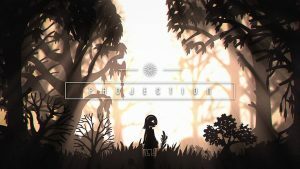 One charming title was Projection: First Light, which is a forthcoming puzzle platformer by Shadowplay Studios. Per its name, Projection: First Light is based on shadow puppet aesthetics, and players can actually adjust the light source to affect traversable spaces. One of the most notable aspects of the game is the fact that each world is based on a real-world culture. Players get to experience worlds based on Indonesia, China, Turkey, Greece, and England. 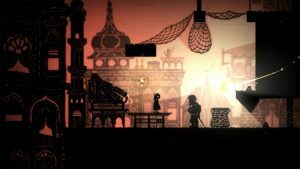 These cultural and mechanical differences create a unique take on puzzle platforming. The game is slated for release on the Nintendo Switch, PlayStation 4, and Xbox One. One particularly exciting title is Obey Me, which is an overhead beat-’em-up action game from Error 404 Studios. 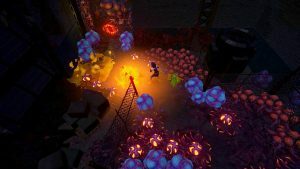 It features a stark stylized universe that draws inspiration from comics, and it also allows for local co-op play as well. The game’s setting involves a war between angels and demons among an unknowing human populace. The protagonist Vanessa is a human turned into a demon who works to discover clues about the conspiracy that surrounds her. Vanessa has plenty of skills at her disposal, and she can perform combos and teleport dashes. Joining her quest is her hellhound Monty, and they can both work together to unleash over-the-top combos and even a combined state. 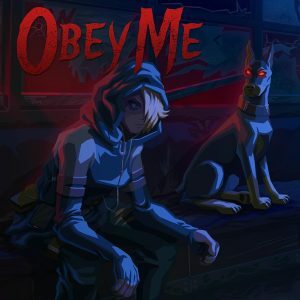 We also got to check out the Obey Me graphic novel published by Dynamite Comics with art by Ben Herrera and writing by Mario Mentasti, and it looks stunning and visceral. The game is slated for release on Nintendo Switch, PlayStation 4, Xbox One, and PC in the third quarter of 2019. We appreciate the time that Ben took to chat with us, and all four titles are exciting and promising. Many thanks to Ben and Blowfish Studios for letting us check these games out!